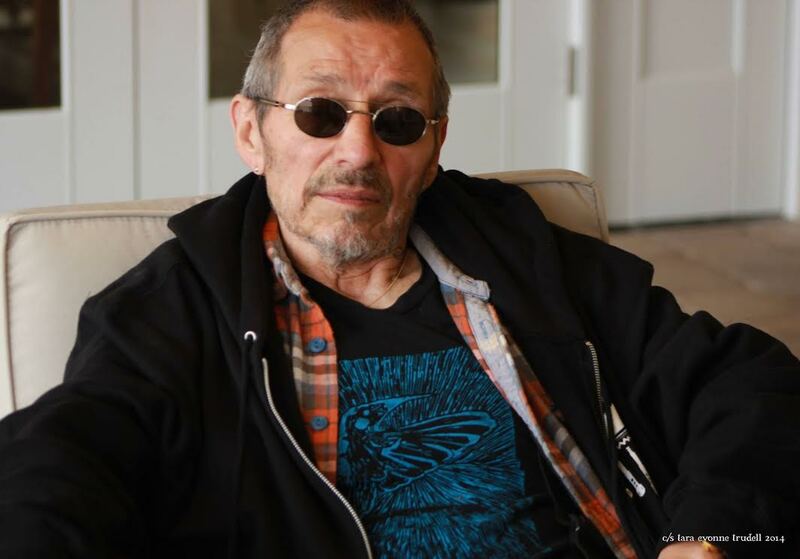 Founded by legendary Native poet, philosopher and recording artist John Trudell, Hempstead Project HEART is a vehicle to build public awareness of the many benefits of growing Industrial Hemp. With a team of committed volunteers at his side, notably Anna Owen, Linda Delair and Lea Walters, John built Hempstead Project HEART to be a driving force to grow the hemp economy in America. From speaking at public events to organizing with the California State Grange on Industrial Hemp advocacy, John and his Hempstead Project HEART team laid important groundwork for public acceptance of hemp in California. In November 2016, California re-legalized Industrial Hemp as a commercial agricultural crop. This huge step demonstrates the importance of education and action in creating positive change. In the summer of 2015, Hempstead Project HEART received a letter from a young Menominee farmer named Marc Grignon who was an academic researcher with the College of the Menominee Nation and the University of Wisconsin-Green Bay on an Industrial Hemp plot nestled on the Menominee Indian Reservation in Wisconsin. The letter expressed a void in educational awareness on Industrial Hemp cultivation and how Hempstead Project HEART could fill that void. Marc asked for help and Hempstead Project HEART answered. When the Industrial Hemp plot on the Menominee Reservation was raided by federal agents that fall, John wanted to do everything possible to help the Menominee. Just as Hempstead Project HEART was gearing up to help educate Wisconsin residents, doctors told John his cancer had spread. Marc flew to California to see John four days before his passing, where John asked Marc to take the lead within Hempstead Project HEART and shift the public perception in Wisconsin towards acceptance of Industrial Hemp cultivation. Marc accepted John’s offer and became the spokesman for Hempstead Project HEART. Marcus’ professional career includes service as an advocate in the public sector. Marcus served the Obama Administration as a staff assistant for the Small Business Administration’s Office of Native American Affairs and as an AmeriCorps member for the Santa Fe Food Policy Council and Earthcare International. He began his federal career as a legislative intern for U.S. Senator Debbie Stabenow in 2009. He is an enrolled member of the Menominee Nation in Keshena, Wisconsin. He is a recipient of the 2010 Brower Youth Award from the Earth Island Institute. Marcus holds a double associates degree in Tribal Law and Sustainable Development from the College of Menominee Nation and a Bachelor's degree in Democracy and Justice Studies with a minor in First Nations from the University of Wisconsin-Green Bay. He holds various certificates in political management, lobbying, Indigenous Entrepreneurship, and the Federal Budget Process from George Washington University, the Institute of American Indian Arts, and American University. Faye Brown has worked with Native-led organizations and tribes building Native/non-Native alliances around environmental and social justice issues for decades. She worked as an organizer and community liaison for the late Native artist John Trudell for close to 35 years. Today, along with serving as part-time Co-Director to HPH, Brown operates a consulting business focused on implementing solutions to the ecological challenges of our time. Morris has been a hemp advocate since the mid 1990’s and sits on the board of advisors for PureHemp Technology, The Hemp Business Journal, and HempToday.net. In his 30 years in the music and entertainment industry, Morris began as a district manager for wholesale media giant The Handleman Company and ran west coast retail operations covering California, Washington and Hawaii. After moving back to Colorado in 1995, Morris launched Hapi Skratch Records, a one-stop music label that provided production, distribution, licensing, events, merchandise and eco-friendly printing and packaging services to musicians and independent record labels. This experience helped Morris develop the business acumen to design a powerful business model for the emerging hemp industry. In 2012 after the introduction of Amendment 64 to Colorado voters, he founded Colorado Hemp Company. In 2015 WAFBA(We Are For Better Alternatives) was created as an umbrella for Colorado Hemp Company, TreeFreeHemp.com, The NoCo Hemp Expo (the largest hemp-centric expo in the world), and other developing projects and brands. His success (and failure) in business has helped Morris become a leading voice and advisor in the U.S. hemp market. Mwata Chisha is an expert in International Business and Economics with research interest in Regional Economic Integration and Global Corporate Responsibilities. He provides instruction in Economics and advises policy makers and practitioners in globalization, foreign direct investment, and sustainable development. Although corporate engagements seem prestigious, Mwata finds them confining and therefore less rewarding compared to intellectual debates in a classroom setting and corporate 'war room.' Exchanging, challenging, exploring beliefs underlying corporate and public administrative practices, and establishing new facts to update theories can be most fulfilling. Lives, corporate, private or public, are transformed when ideas are shared in the spirit of seeking knowledge and finding solutions to the problems that beleaguer the local and global communities. Mwata is a Economics and Business Administration professor at Northcentral University in Buffalo, New York. His home is Zambia, Africa. Stephen Mills Badger II, born September 1968, attended Duke University and Reed College, and, in 1992, graduated from Union Institute in Cincinnati, OH with a BA in Anthropology. He was one of the largest investors and key developmental influencers of Seeds of Change, an organic seed and food company and was President of the company from 1995-2004. From 2004-2008 Stephen led Corporate Affairs for Mars, Incorporated as the Global Director. In March of 2008, Stephen joined Mars, Incorporated Board and became Chair in March of 2011 and served for its term of three years. In March 2017 he assumed the role again. Other boards include/have included Island Press, Permacultura Latin America, The Africa Society, The Association for Traditional Arts, and the Muscle Shoals Music Foundation. Stephen also produced “Muscle Shoals” which premiered at the Sundance Film Festival in 2013. It was sold around the world including PBS premiere network ITVS in the United States. Legalize industrial hemp in the state of Wisconsin. Create a viable business plan for cultivation and processing of Industrial Hemp on a tribal reservation. Hemp has the potential to create sustainable economic development for Wisconsin and its 11 tribal nations. That potential, however, can only be unleashed if state and federal law changes. The very first step to renewing a hemp economy in the state is to pass pro-hemp legislation. The second step is to create a model plan for phasing in hemp as a healthy way to farm, make products and develop businesses. What’s unique about this campaign is that it links Native communities and the Wisconsin citizenry together in advocating for industrial hemp and lays the foundation for developing industrial hemp as a commercial crop on tribal land. The state of Wisconsin is poised to be a hemp industry leader. The Menominee and other tribal nations have an opportunity to revitalize a cultural practice and create economic development that’s been lost due to years of negative public perception of industrial hemp. There needs to be an economic model that propels the rest of America to act in both a sustainable and just way, and it begins in Wisconsin. We conduct extensive research to bring to light the hidden history of hemp in Wisconsin and the U.S. from early colonial times to the present. See our research on Wisconsin hemp here! We educate the public to clarify what is true and not true about hemp and offer people a better understanding of the amazing benefits and uses of this plant. We conduct hands-on education using hemp products and building materials. We advocate for the legalization of hemp cultivation and processing on a state and federal level. And we work to engage the Wisconsin citizenry in advocating for pro-hemp legislation. We bring tribes, organizations, businesses, and people together to reestablish the hemp economy in Wisconsin and the United States. We provide professional agricultural assessment services to tribes and communities seeking to identify the potential for local hemp and food cultivation!